A boat packed with more than 700 “boat people” seized off Myanmar’s coast was stopped on a small island on Saturday, as officials gave mixed signals about its final destination. Myanmar’s navy discovered the boat with 727 migrants off the country’s southern coast on Friday, but have since been tight-lipped on the identity of those on board, as well as their fate. Myo Win, the township administrator of Hainggyi Island, in the country’s south, told Reuters the boat was taken to nearby Leik Island and the migrants were kept on board while they were provided with food, water and medical help. Officials had on Friday initially labeled those on the boat “Bengalis” - a term used to refer both to stateless Rohingya from Rakhine state, as well as Bangladeshis. The government later said most of those on board are believed to be from Bangladesh. The government had initially said it would take the migrants to a navy base on Hainggyi Island, but have since reconsidered their destination, Commander Soe Min, an assistant to Myanmar’s navy chief, told Reuters. 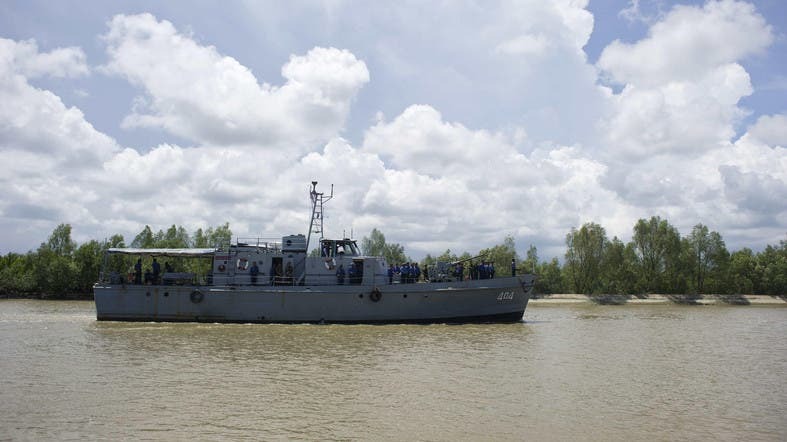 “The navy may take them somewhere further north, such as Sittwe in Rakhine State. We’re not even sure yet,” Soe Min said. The discovery of the boat on Friday came as Myanmar told a 17-nation meeting in Thailand that it was not to blame for the crisis that has seen more than 4,000 desperate Muslim Rohingya from Myanmar and Bangladeshi migrants take to the seas across Southeast Asia in the last month. The boat was found in the Andaman Sea on Friday with 608 women, 74 women and 45 children on board, according to Myanmar’s Ministry of Information. Myanmar has come under heavy criticism for discrimination against the Rohingya. Most of the 1.1 million Rohingya in Myanmar are stateless and live in apartheid-like conditions. Almost 140,000 were displaced in deadly clashes with Buddhists in Rakhine State in 2012.